Rutland Record 30 – The Haringtons, Vincent Wing, and Robert Gouger The new issue of Rutland Record, the Rutland Local History & Record Society’s annual publication, contains three main articles about well-known and perhaps not so well known Rutland families. First, Sue Howlett explores the relationship between the dynastic Haringtons of Exton and the royal court of James VI and I. We read how, as one of the great Rutland landowning families, they rose to power and privileged position in the sixteenth and seventeenth centuries, becoming guardians to James’s daughter Elizabeth and friends with Prince Henry, Prince of Wales: and then how everything unravelled following Prince Henry’s death at the tragically early age of 18, the death of Lord Harington in 1613 and that of his son John the following year, so that the dynasty failed. Next, Professor Bernard Capp of the University of Warwick looks at the life and achievements of Vincent Wing (1619-68), surveyor, mathematician, astronomer and astrologer, of North Luffenham, who became nationally famous for his work in establishing new methods of surveying – witness an estate map of Luffenham which he published as an example – as well as for pioneering astronomical work which helped to establish the Copernican theory of the solar system. He published many technical works, but also nearly thirty annual almanacs containing astrological predictions: the political nature of these caused him to sail perilously close to the wind in the uncertain waters of the seventeenth century. The third major article in this issue, by Paul Reeve, explores the family background of Robert Gouger (1802-46), the first Colonial secretary of South Australia, and his associations with the East Midlands and Rutland in particular. He reveals how the Gougers had a silk manufacturing business in Stamford and, for a short while, in Oakham, something which has been entirely lost sight of through the passage of time. As usual, the issue concludes with notes on archaeological and historical work, including building surveys, in Rutland during the previous year, with reports from the museums, record offices and societies whose interests and responsibilities cover the county’s heritage. 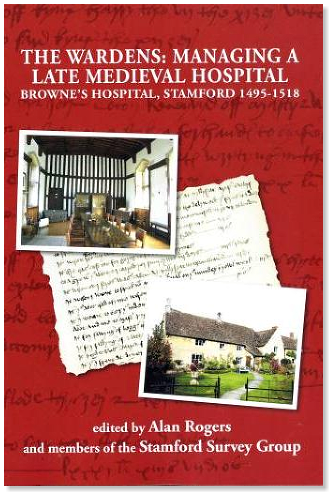 These include a note on medieval and other Rutland archives in the University of Nottingham. Rutland Record 30 is published in the context of severe cuts to public funding and very real threats to museum, archive and library services across the region. In the Editorial, the Society draws attention to the vulnerability of such services, and urges Rutland and its neighbours to minimise the likely impact on the high quality and highly valued services which its inhabitants and its visitors enjoy. Copies of the new publication can be obtained as usual from the Rutland Local History & Record Society at the Rutland County Museum for £4.00 (plus £1.25 p&p), via local bookshops, or on-line via www.genfair.co.uk. ISBN-13: 978-0-907464-45-7. For further information, please contact: Tim Clough, Honorary Editor, RLHRS, Rutland County Museum, Catmose Street, Oakham, Rutland, LE15 6HW, or tel 01572 722316, or e-mail editor@rutlandhistory.org. Rutland Record 30 – The Haringtons, Vincent Wing, and Robert Gouger The new issue of Rutland Record, the Rutland Local History & Record Society’s annual publication, contains three main articles about well-known and perhaps not so well known Rutland families. First, Sue Howlett explores the relationship between the dynastic Haringtons of Exton and the royal court of James VI and I. 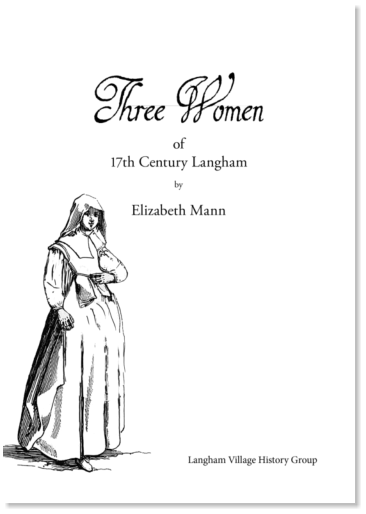 We read how, as one of the great Rutland landowning families, they rose to power and privileged position in the sixteenth and seventeenth centuries, becoming guardians to James’s daughter Elizabeth and friends with Prince Henry, Prince of Wales: and then how everything unravelled following Prince Henry’s death at the tragically early age of 18, the death of Lord Harington in 1613 and that of his son John the following year, so that the dynasty failed. Next, Professor Bernard Capp of the University of Warwick looks at the life and achievements of Vincent Wing (1619-68), surveyor, mathematician, astronomer and astrologer, of North Luffenham, who became nationally famous for his work in establishing new methods of surveying – witness an estate map of Luffenham which he published as an example – as well as for pioneering astronomical work which helped to establish the Copernican theory of the solar system. He published many technical works, but also nearly thirty annual almanacs containing astrological predictions: the political nature of these caused him to sail perilously close to the wind in the uncertain waters of the seventeenth century. The third major article in this issue, by Paul Reeve, explores the family background of Robert Gouger (1802-46), the first Colonial secretary of South Australia, and his associations with the East Midlands and Rutland in particular. He reveals how the Gougers had a silk manufacturing business in Stamford and, for a short while, in Oakham, something which has been entirely lost sight of through the passage of time. As usual, the issue concludes with notes on archaeological and historical work, including building surveys, in Rutland during the previous year, with reports from the museums, record offices and societies whose interests and responsibilities cover the county’s heritage. These include a note on medieval and other Rutland archives in the University of Nottingham. Rutland Record 30 is published in the context of severe cuts to public funding and very real threats to museum, archive and library services across the region. In the Editorial, the Society draws attention to the vulnerability of such services, and urges Rutland and its neighbours to minimise the likely impact on the high quality and highly valued services which its inhabitants and its visitors enjoy. 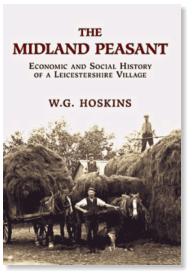 Copies of the new publication can be obtained as usual from the Rutland Local History & Record Society at the Rutland County Museum for £4.00 (plus £1.25 p&p), via local bookshops, or on- line via www.genfair.co.uk. ISBN-13: 978-0-907464-45-7. For further information, please contact: Tim Clough, Honorary Editor, RLHRS, Rutland County Museum, Catmose Street, Oakham, Rutland, LE15 6HW, or tel 01572 722316, or e-mail editor@rutlandhistory.org.